Welcome to one of the most beautiful cities in the world. Venice’s unique dream-like setting allows the average traveller to feel like a Venetian Princess. Not a good photographer? No problem. The scenic backdrop allows anyone to take a perfect picture. From your arrival at Marco Polo Airport or Venice’s Santa Lucia train station until the moment of your departure, Venice will in a phrase, change your life. How to afford such a beautiful place? Consider going to the floating city on “off times”. Despite Venice receiving a minimum of 7 million tourists a year, it is a lot less crowded in March. Prices in top notch hotels in Saint Mark’s Square can have incredible deals (sometimes slashing prices 75%) and the weather is about 15 degrees (at the end of March) with the occasional light rain. Getting around Venice in itself is an experience. For those with deeper pockets, hail a water taxi to take you right to your hotel! Enjoy being a part of the organized chaos of the Grand Canal as you zip through the waterways of Venice. For the thriftier traveller, ride the water bus for a fair price and see the sites of the outdoor frescos and scurrying tourists. You also get a great tour of the city, for a fraction of the price. Once you arrive in your hotel obey the Venetian cardinal rule for any tourist: get lost! 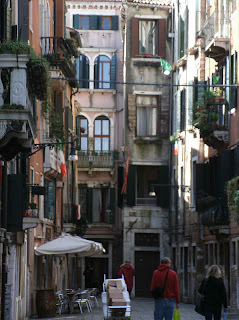 Follow the twisted alleyways of Venice and window shop. Look for the Ferrari Store in St. Mark’s Square or the Dali inspired shops which feature melting clocks in the window. 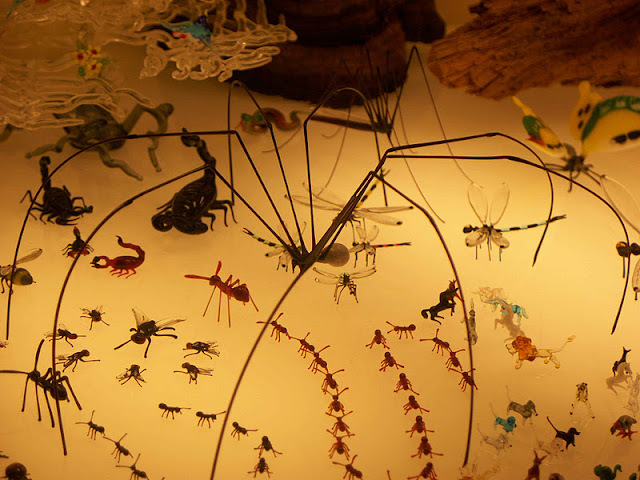 See the glass blown animals and insects, each are hand crafted and a unique piece for a collection. 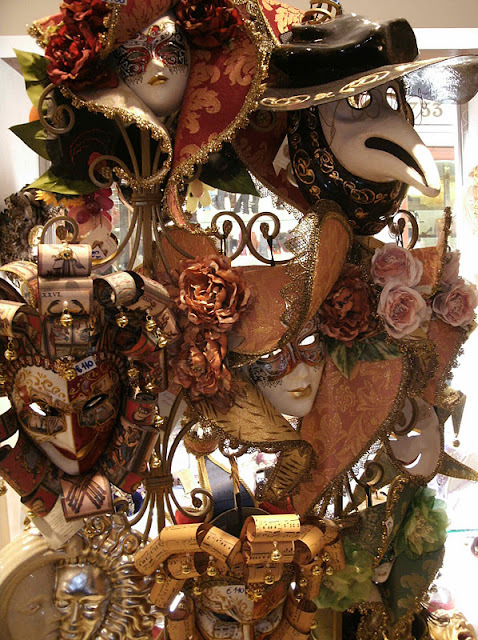 Despite clichés, admire the lace and the masks of Venice that the city is known for. 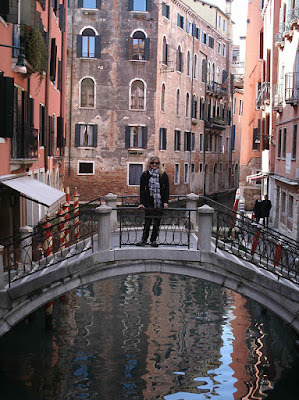 Take a gondola ride around the canals or be very creative and take gondola lessons in Venice. 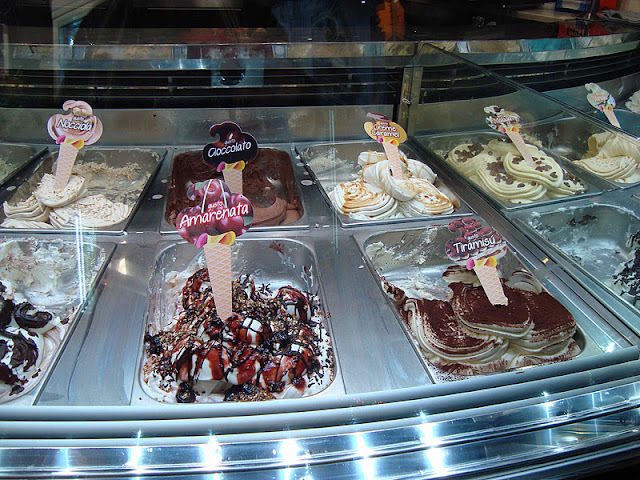 At the end of your trek, treat yourself to a gelato. St. Mark’s Square is a marvel. The Rialto Bridge is beautiful and its history is immense. The Peggy Guggenheim Collection is heaven for any modern art appreciator. However, it is the little things that make Venice so great. 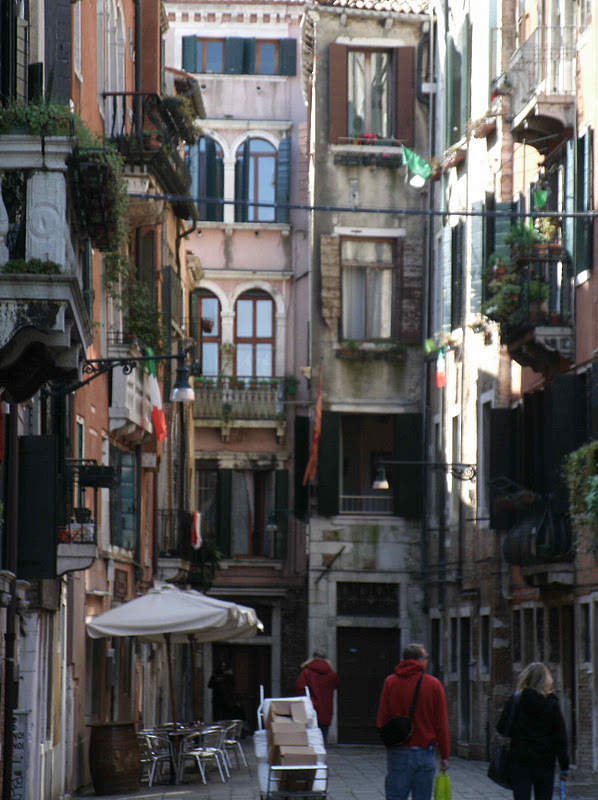 Walk along the narrow passage ways of residential Venice and look up. See the laundry hanging from the multi-story homes. It’s a great way to understand how the few Venetian residents still live and have a perfect photo opportunity. Trying to stay active? Wake up early to jog along St. Mark’s Square in Venice. Trace the winding path along the water and watch as the many gondolas and boats come in with the days products available for purchase. There are no cars in this city so it is interesting to see such small boats hold such huge cranes while repairs happen on the Venetian seaway. If you have a few extra days in Venice, take the water taxi to Lido or to some of the other nearby islands. These picturesque places are perfect to escape touristy Venice and to get to know some of the locals. It’s an opportunity to also practice your Italian. Venice can be expensive, but picking a time right before tourist season allows you to visit an enchanting city for a fraction of the price. Grace Ste.Croix is an international writer, author and owner of a Events/Promotions/Catering company, La Vigne Chantante, located in Toronto and Montreal. Venice left a big impression on me when I toured Italy at age 16. Hoping to go back as an adult in the near future and before it sinks! 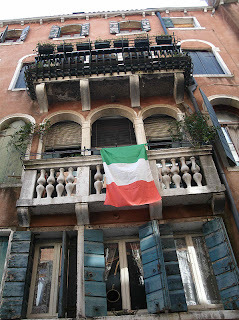 Great colorful pics of Venezia. It is definitely overstimulating for the eyes, but hope you had more than gelato ;) The Venetian traditional dishes at osterias are also a nice treat. Did you try any particular restaurants? Trattoria la Madonna has a seafood risotto that is to die for! 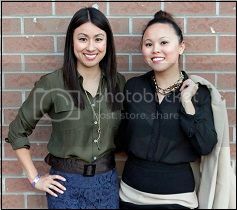 @Bianca- We went to Trattoria La Madonna! Lovely retaurant :) Venice definately deserves an article on its own of all the great places to eat. Its such a shame that people only stop there for half a day or so, since its not only beautiful but a culinary delight! You have to let me know where else you ate during your time in Venice!